The CRC Press Cellular and Molecular Neuropharmacology Series provides the reader with state-of-the-art research methods that address the cellular and molecular mechanisms of the neuropharmacology of brain function in a clear and concise format. Topics covering all aspects of neuropharmacology are being reviewed for publication. Boca Raton Boston London New York Washington, D.C.
Front cover art drawn by Tara L. Peterson. Neuropharmacology methods in epilepsy research / edited by Steven L. Peterson and Timothy E. Albertson. 1. 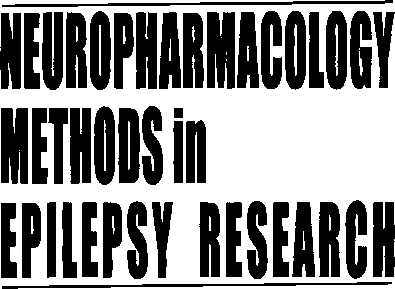 Epilepsy—Research—Methodology. 2. 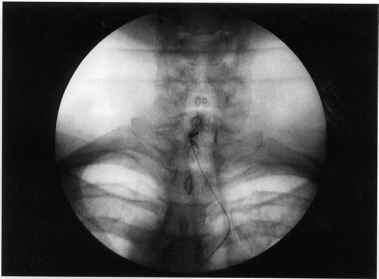 Epilepsy—Research—Animal models. 3. Neuropharmacology—Research—Methodology. I. Peterson, Steven Lloyd. II. Albertson, Timothy Eugene. III. Series. All rights reserved. Authorization to photocopy items for internal or personal use, or the personal or internal use of specific clients, may be granted by CRC Press LLC, provided that $.50 per page photocopied is paid directly to Copyright Clearance Center, 27 Congress Street, Salem, MA 01970 USA. The fee code for users of the Transactional Reporting Service is ISBN 0-8493-3362-8/98/$0.00+$.50. The fee is subject to change without notice. For organizations that have been granted a photocopy license by the CCC, a separate system of payment has been arranged. The consent of CRC Press does not extend to copying for general distribution, for promotion, for creating new works, or for resale. Specific permission must be obtained in writing from CRC Press for such copying.